The 3rd edition of the annual Internet of Things Showroom (SIdO) beginning of April at Lyon’s Cité Internationale (France) provided IoT-EPI the perfect platform to talk to IoT professionals about the interoperability challenges the projects are working on and to spread the news about the upcoming IoT-EPI open calls. SIdO federates the Internet of Things ecosystem in France and Europe to help companies conceive tomorrow’s uses and to make the Internet of Things an economic reality. This event, organized under the patronage of the French Ministry of the economy, Industry and Digital technologies, with the support of the European Commission, the Rhone-Alpes region and Greater Lyon, brought together more than 6.500 entrepreneurs, manufacturers, technology offerers, digital players, research laboratories, investors, designers and public authorities and more than 270 exhibitors, 100 startups, 200 speakers, 90 journalists and bloggers for the 2 days of conferences (>50), workshops, networking, technology, hackathon & use cases. A big IoT-EPI booth provided the perfect floor for 4 IoT projects to present their solutions and attract SMEs, startups, research institutes of the SIdO – particularly interesting them in upcoming open calls with a total funding of 5.5 million Euros. In addition to the proposed solutions and the open calls another interesting attraction for the visitors was the partner network of the projects, which allows startups/developers to connect with relevant parties. The booth was not the only area where you could find IoT-EPI. IoT-EPI went in dialogue with the 60 startups exhibiting on the startup valley during the SIdO (inviting them to the booth to connect with the projects active in the same vertical domains, invite them to participate in the open call and use the available technical components). IoT Platforms – Research, Innovation & Business Models by Ovidiu Vermesan (UNIFY-IoT/Sintef Digita), with speakers of the various IoT-EPI projects to contribute and to pitch their project. Both conference sessions had an impressive attendance and completely full (more than 100 attendees for each session). 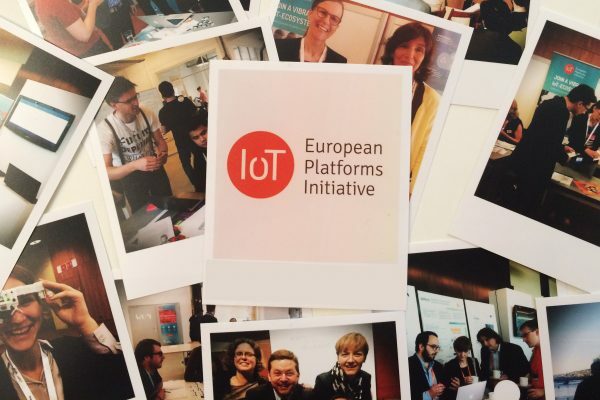 Last, but not least, IoT-EPI used the SIdO hackathon (mobility) to connect the developer community to the projects.